Interesting stuff, but their reasoning does make sense. Yeah, good read. 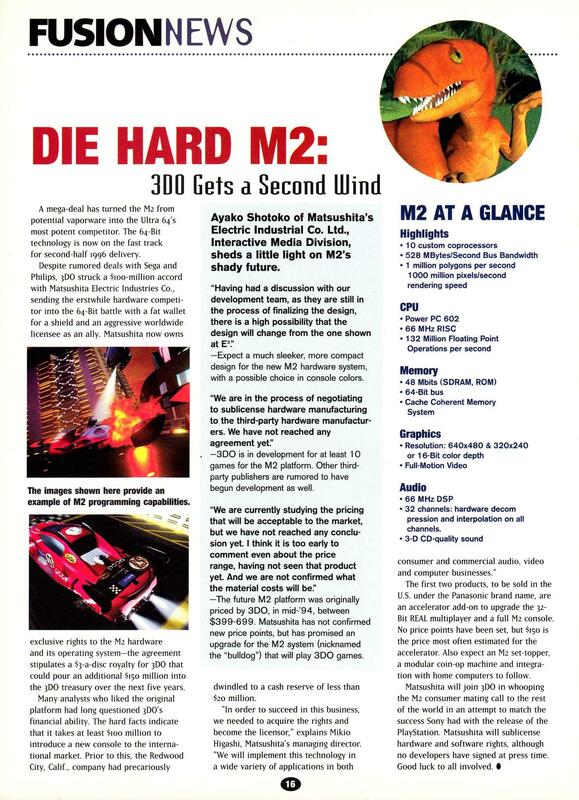 Coming out with the M2 at that time would indeed have been a risky venture; the PS1 just had too firm a hold on the market. It would take a full generational leap to break it. 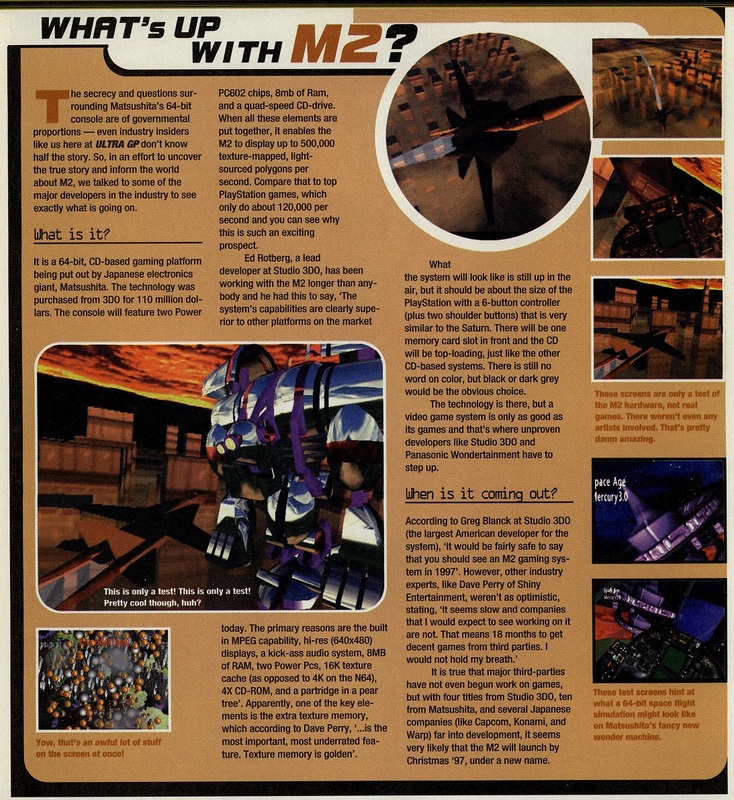 Just found two more articles on M2, one from Fusion magazine and the other from Ultra Game Players. 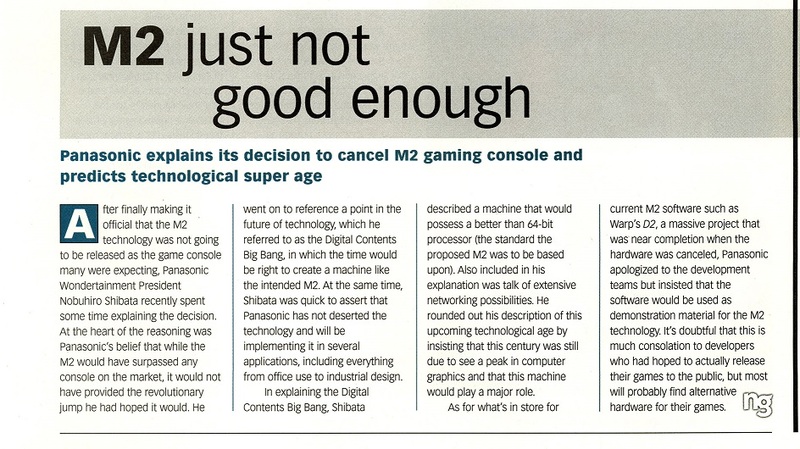 "Mr. Burk: (...) SEGA was very interested in buying our M2 chip for their next console. But when we got the first prototype chips back from the fab, they were missing a layer of metal. Some engineer at the fab left a line out of a script. This killed all the on-chip RAMs including the graphics texture RAM and the DSP RAM. So, the demos we showed to SEGA did not have any textures and ran very slow. The next chip worked fine but it was too late."